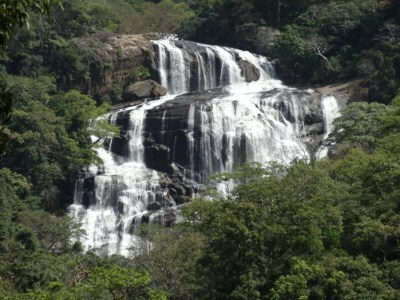 Rathna Ella is one of beautiful waterfalls in Sri Lanka, situated at Rathna Ella village-Hasalaka. 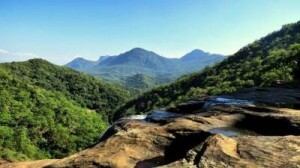 It has 111m height and governs for 9th highest waterfall in Sri Lanka. Hasalaka Oya which starts from Knuckles range creates this majestic falls. 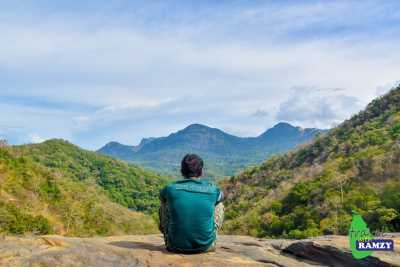 Usual way to visit Rathna Ella is coming from Hasalaka and walking along the canal road to the base of the falls. This is our adventourous journey to Rathna Ella from velangolla Pathana. 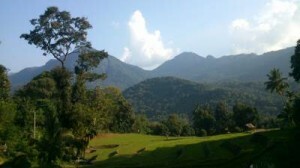 Actually this was an official journey to Mahiyanganaya but we planned it out to perfection. We took the 11.45pm bus to Mahiyanganya (the bus was packed @10.45pm) and the journey was a long one and we never regretted the night journey because the road trough Hunnasgiriya was heavily under construction these days. After the bus tackled the 17 hair pin bends, it was time for us to get down at Gurulupotha. The time was 5.30a.m so we decided to have breakfast at a nearby Tea shop and started our journey towards the Seetha Kotuwa ruins at Gurulupotha (the path starts near to the Rest house).